Sweet Sharings : I am back! 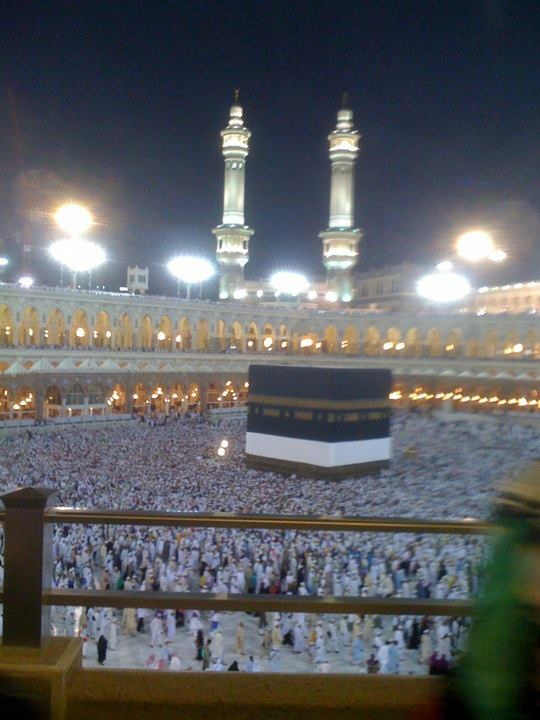 Kaabah during Fajr - Oct 2011. I am back home after being away for 1.5 months. Alhamdulillah I have completed my Hajj. It was an experience of a lifetime. So many things that I felt, witnessed and experienced at the Holy land --- things which only strengthened my Faith in Allah. SubhanAllah, Alhamdulillah, Laa illa ha Illahlah, Allahu Akbar! Some events I can relate to others and some I cannot -- one has to experience it personally to know what I truly feel and mean in my heart. Some events were truly miraculous and mystical, events which I think not everyone would experience...as it all depends on the degree of how sincere/ikhlas one's heart is, without doubts or question. Many things happen with good reason behind them, even if we are not able to comprehend at that moment in time. Allah knows best always. When it comes to Faith and Belief, logic has to go out the window to be able to open your heart completely. I already miss Makkah and Madinah....I miss looking at the Kaabah....but it will always be clear in my mind's eye each time I meditate or perform solat. I doa that I will be worthy of my Hajj and I doa that I will have the rezeki to return to the Holy land over and over again in the future. Thank You to all friends and family who have given me such a touching reception. May Allah Bless you all and shower blessings and mercy upon You always.